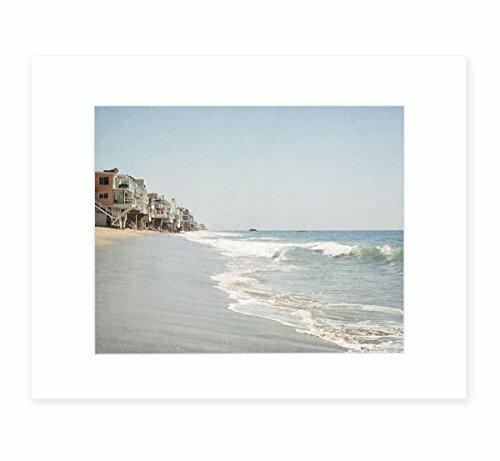 Landscape wall art depicting an iconic stretch of the Malibu coastline. Houses built on stilts overlook the beach, with waves crashing directly below. I also offer this print in other sizes, as a canvas, or as a framed print. Search Amazon for 'Offley Green Ocean View' to see all options for this image.